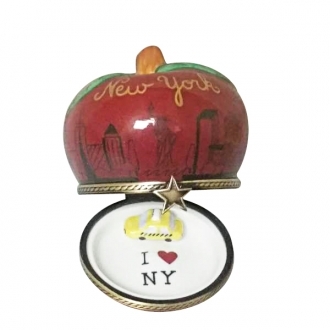 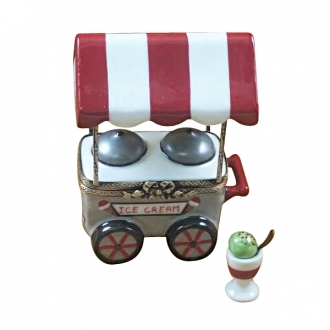 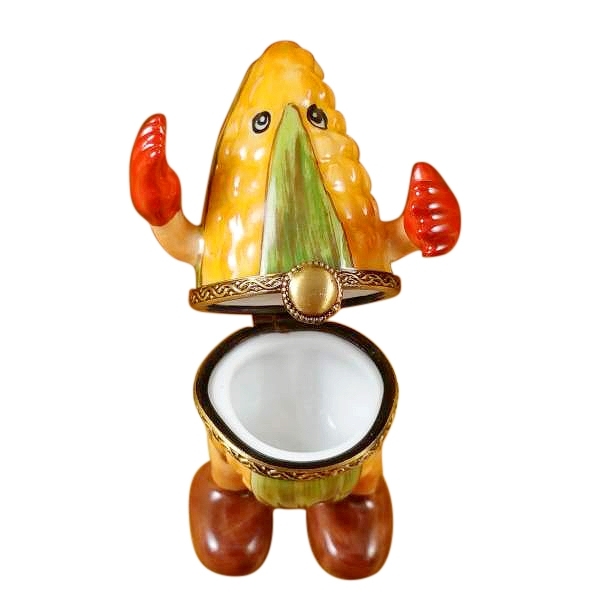 MR CORN - Limoges Boxes and Figurines - Limoges Factory Co. 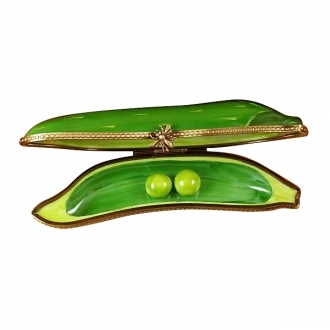 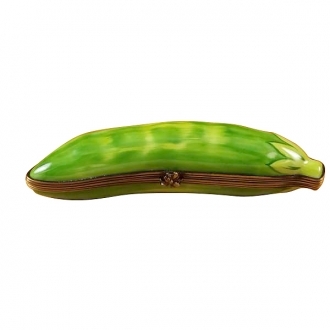 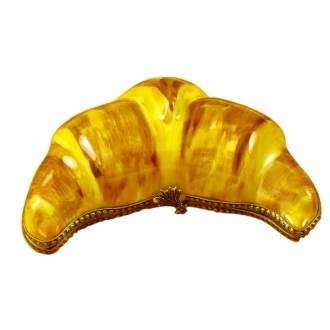 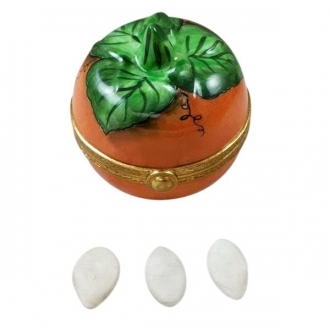 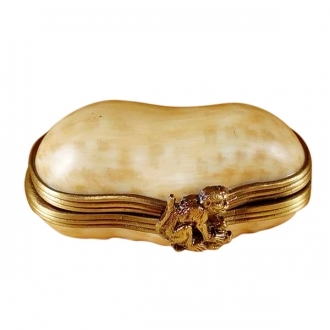 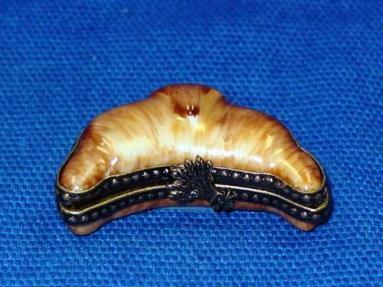 This Limoges box is shaped like an ear of corn with hands and legs and facial features. 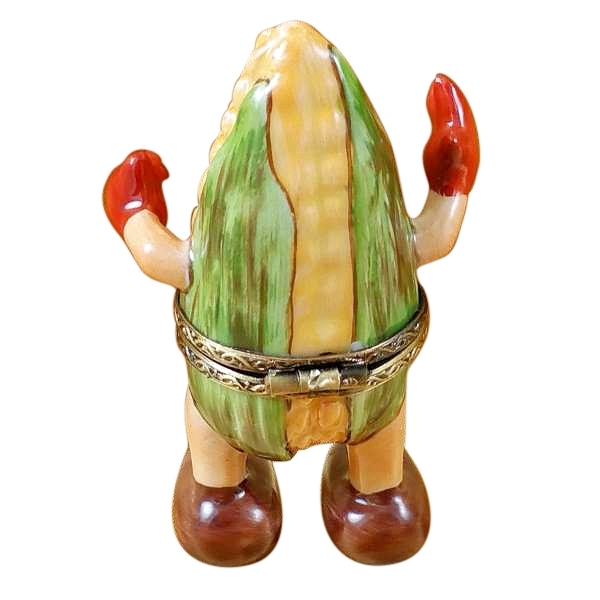 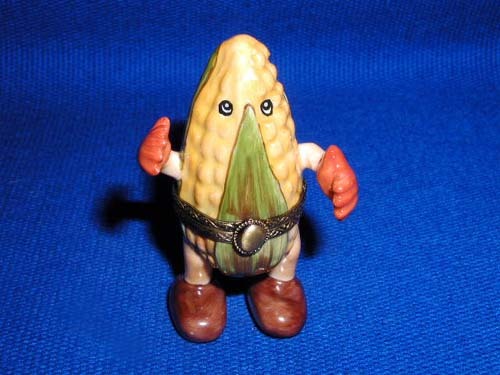 The decorated rims of the box serve as the belt on Mr. Corn’s dress, and its clasp looks like the buckle. 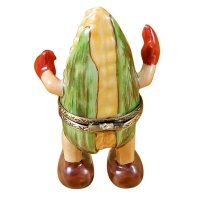 The illusion of the personification is completed with shoes on its legs and gloves on its hands.